Alabama, 1957. 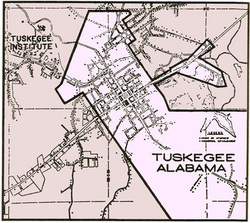 The State Legislature redraws the city of Tuskegee. It had been a square; now the city is a strangely shaped twenty-eight-sided polygon. There had been 400 black voters in Tuskegee. Now there are five. Yet not one white voter is lost by Tuskegee's new borders. 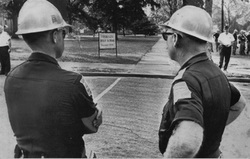 The city's former black citizens believe they've been cut out of their constitutional rights. A unanimous Supreme Court agrees. "The Fifteenth Amendment forbids a State from passing any law which deprives a citizen of his vote because of his race." Justice Frankfurter writes: "When a State exercises power wholly within the domain of state interest, it is insulated from federal judicial review. But such insulation is not carried over when state power is used as an instrument for circumventing a federally protected right."